Having greater visibility into your warehouse business operations is no longer a “nice-to-have” in the world of business – it’s now a “must-have.” In fact, not having lot control in your warehouse could be a huge risk, leading to increased costs, lower profitability, and unexpected breakdowns in your supply chain. If your business ever faces an emergency recall situation – such as a food product that has been contaminated and needs to be recalled, you’ll be glad that you have a software-based warehouse management system to find the exact product you need at exactly the right time to avoid any serious consequences. The core feature of any warehouse management system is lot control. Every piece of inventory that has ever passed through your warehouses comes with a unique tracking ID code that assigns it to a lot. These identifying characteristics can include ingredients or materials in the product, or factors such as color, expiration date or place of origin. The more you know about each lot, the easier it is to track down exactly what you need. If you are currently doing this manually, then you are at a real disadvantage to your competitors who have automated the entire process and can check on the status of lots within minutes. Another example where automated lot control is an advantage is if, for example, you are working in an industry where product expiration dates matter. The last thing you want is for older items to sit in a warehouse too long. With automated software, you can mitigate this problem, ensuring that older lots make their way into your distribution chain in a timely matter before it’s too late. This will impact your bottom line immediately. And, finally, there’s the matter of product differentiation. In certain industries, lots are differentiated not by product expiration dates, but by factors like color, shape or size. You want to make sure that you are shipping the right colors (or shade of the right colors) to the right customers. This can prevent you from sending last year’s make or model to a new customer. 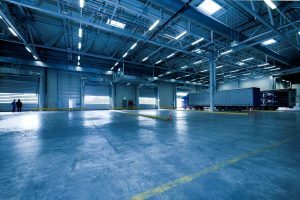 In dealing with these hypothetical situations, lot control in the warehouse is key. Lot control will give you greater visibility into your business operations, lower your costs, streamline your operations, and give you the ability to increase throughput in your supply chain. And the most effective path to reach these goals is a software-based warehouse management system with built-in lot control, such as Spire. In both everyday and emergency recall situations, lot control will give you the peace of mind of knowing that any situation in your warehouse can be handled quickly and efficiently.